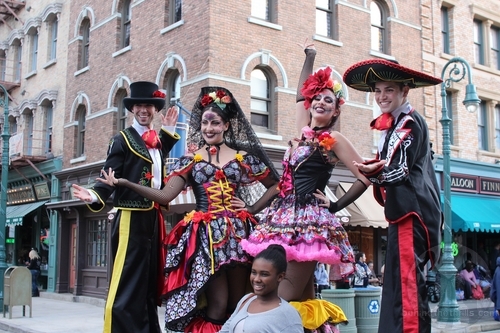 Behind The Thrills | Mardi Gras at Universal Orlando brings celebrations from all over the world! 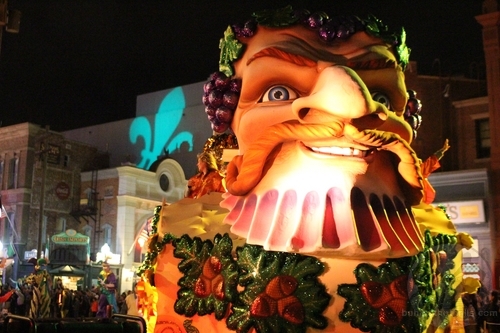 Mardi Gras at Universal Orlando brings celebrations from all over the world! 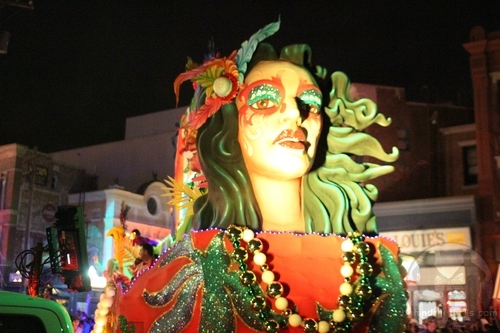 Mardi Gras at Universal Orlando brings celebrations from all over the world! 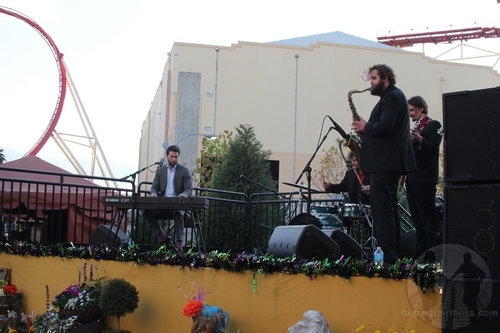 Mardi Gras at Universal is in full swing, and the celebration is bigger than ever! 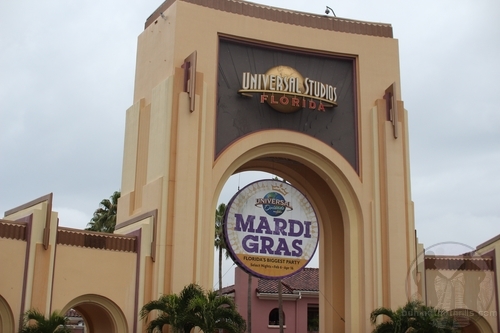 The annual Mardi Gras celebration at Universal Studios Florida has brought tons of beads, food and music to guests in Central Florida. 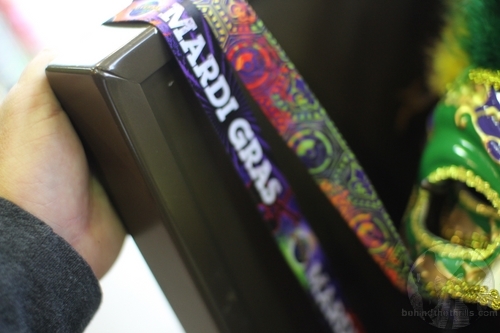 This year, however, Mardi Gras is bringing something new, as the huge parade celebrates the festivals from all around the world. 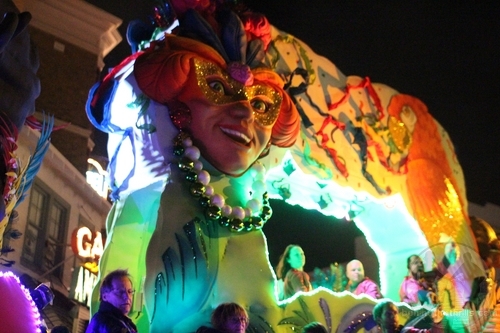 As always, this year’s Mardi Gras is full of great authentic Cajun food, tons of great music, and yes the parade. However the new event brings a ton of new things. Check out our video below for a look at everything new, including the amazing new floats at this year’s Universal Mardi Gras! 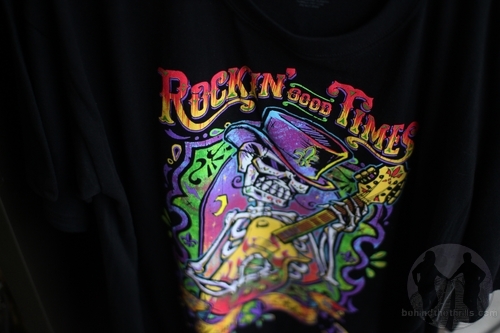 As with any event at Universal Orlando, Mardi Gras is full of new merchandise. While it’s not over the top like at other events, there’s plenty here to make your visit memorable. There’s also a cool new logo that matches the feel of the event quite well. 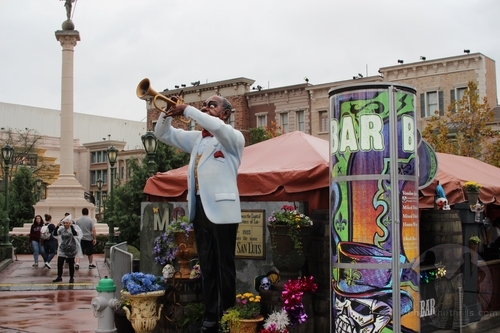 The sugar skull skeleton guy has been used various years for Mardi Gras in several forms, this by far is one of the coolest. If you’re an annual passholder, there is special merchandise for you. If not, you still have some great new items such as shot glasses, shirts and of course lanyards. Every Mardi Gras event day, the characters come out to meet guests. This happens around 5p.m. 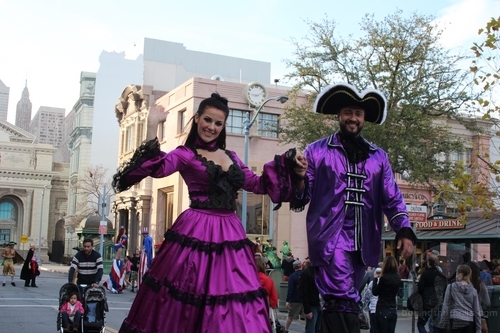 It’s a great way to pose for pictures and have fun with the many characters that are in the parade. It also gives you a better look at many of the characters. This year’s new characters include Bierfest stiltwalkers, feathered performers from Carnival in Brazil and elegant Venetian Carnival performers as well. 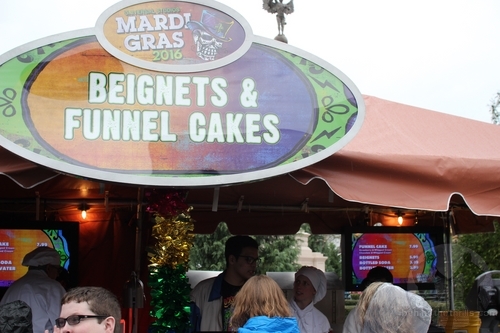 Of course the event wouldn’t be the same without a visit to the French Quarter. 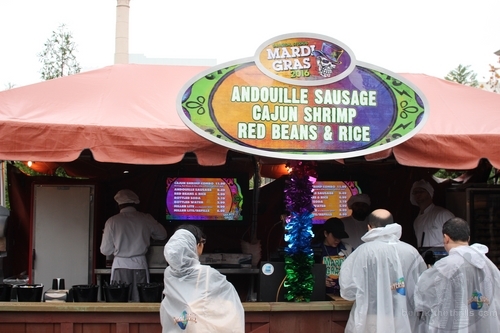 Here guests can get authentic Cajun food, and get a taste of the Mardi Gras Bock. The beer is a great tasting brew made by Abita, which you can buy in stores. 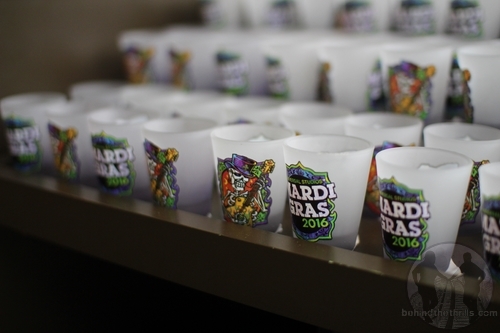 However, Abita and Universal have made it available for draft, exclusively for Mardi Gras at Universal. 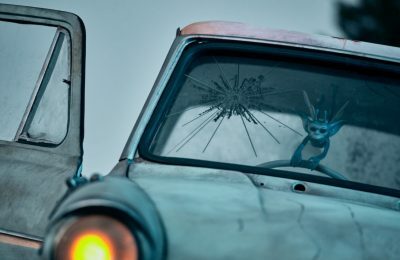 Every year Universal does a few new floats, and changes the overall theme of the event. 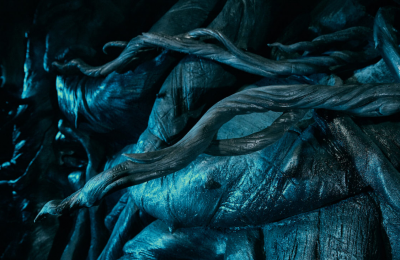 This year, Universal celebrates different festivals around the world with four new floats. 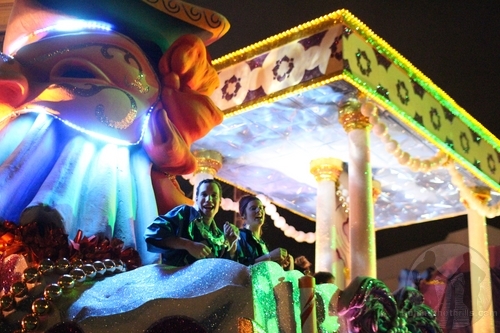 However, there are actually a total of five new floats in this year’s event! 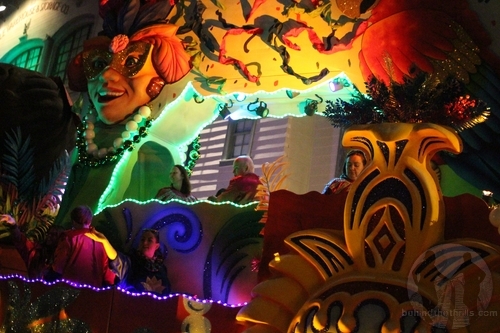 They are fully decked out with their own beads, characters and float. The Octoberfest float from Germany features great costumed stilt walkers, all wearing traditional garb. They come in front of the massive new float, that has some iconic imagery, such as the god of good times (we know that’s not his real name…but go with us) a traditional German house, and of course a beer stein! Brazil is represented with pride with performers that have huge feathered head dresses. They are massive, and extremely colorful. 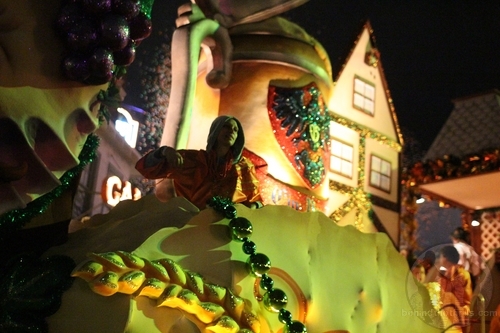 There’s also a very festive float, with tons of great visuals that represent the fun and flavor of Brazil. 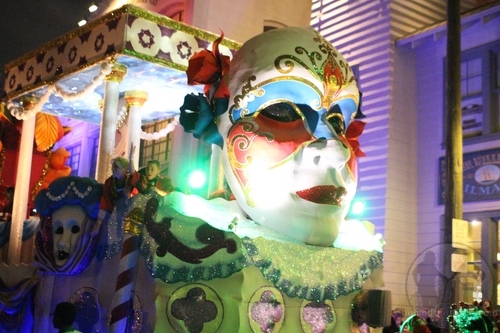 One of the most elegant floats is the Venetian Carnivale, it uses a lot of what we like to call “operatic” features, including porcelain masks, Roman columns, and a great use of colors. 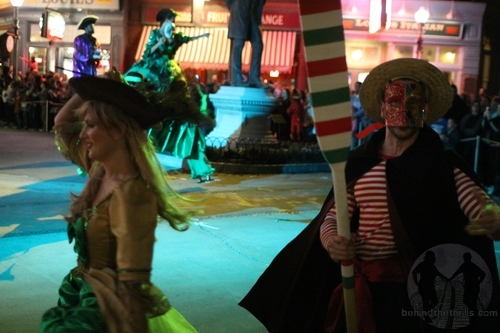 The performers have a great classic Italian look, with almost like a Renaissance feel to the costumes. The 4th of July is about as American of a celebration as you can get, and it’s represented perfectly in the huge float. 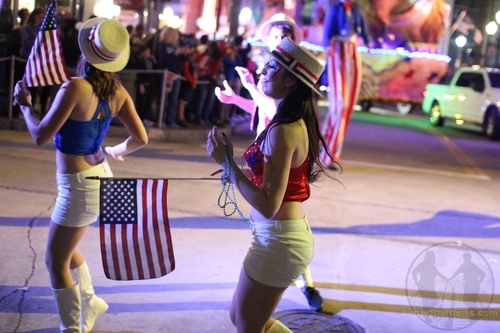 The performers all are wearing the most American of creations, jeans and outfits with a summer feel to them. 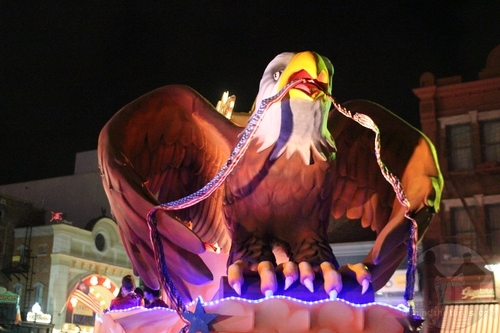 The float itself has tons of great symbolism, with the American Eagle, and much more. 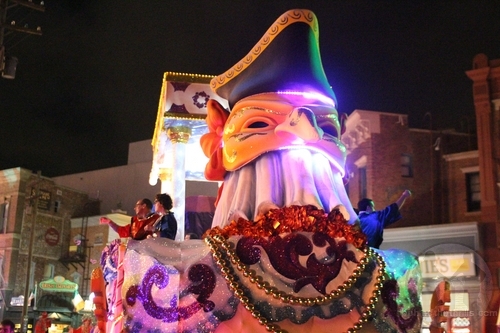 The fifth, and final float is a Mardi Gras staple. 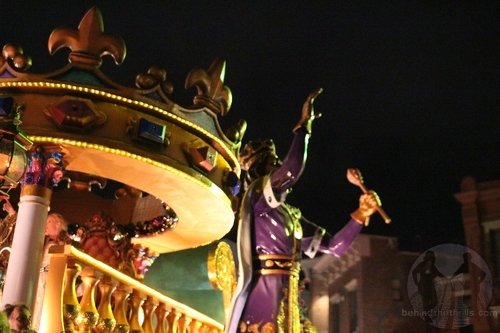 The King and Queen float has been completely redone, and has taken a more low profile approach. 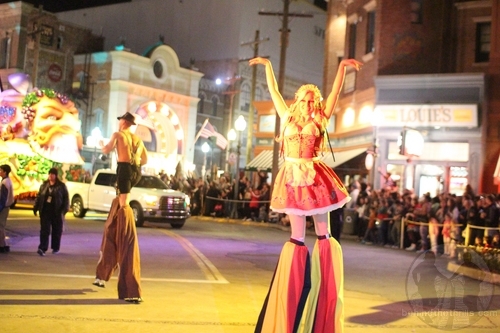 Instead of having a king and queen on the float, they are stiltwalkers in the parade. 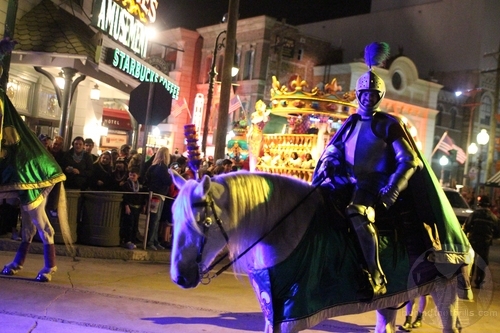 The King and Queen are also preceeded by Knights on horses, in what looks like real armor. 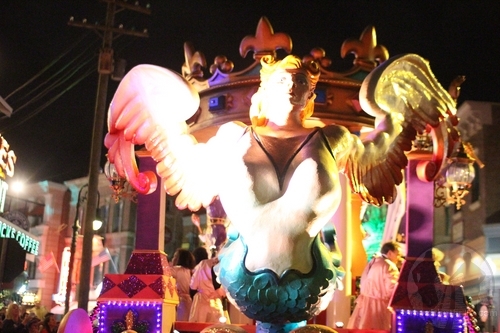 The float itself has been redesigned by Mardi Gras float makers, Blaine Kern and is just beautiful. 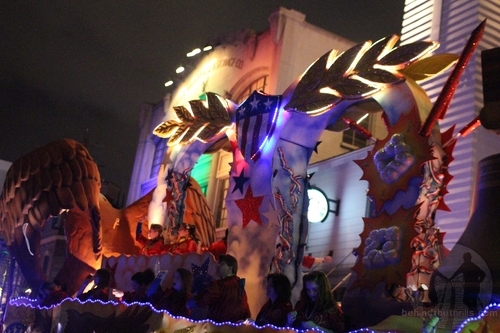 The float is more colorful, and has tons of new aspects to it. Also this year, the float riders don’t have hats. 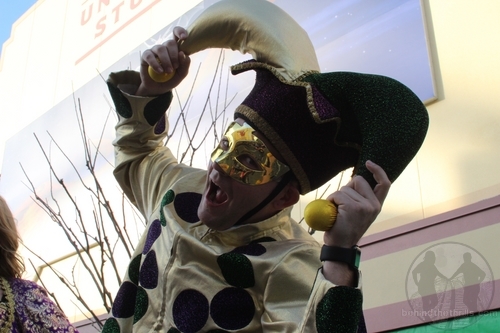 Slideshow-Check out even more pictures from Mardi Gras at Universal Orlando! 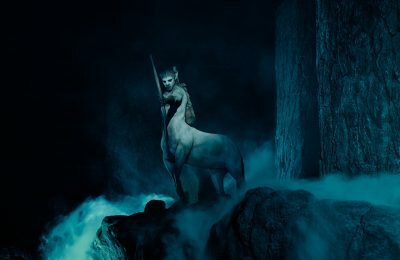 Previous PostUniversal Orlando unveils the story for the new Reign of Kong! Next PostMarvel comes to Disney Tsum Tsum in all new game!